Whether you’re looking for fully managed cloud solutions for your enterprise or organization, or looking for certified experts that specialize in wide range of cloud service offerings, i2m has you covered. i2m is a validated AWS Advanced Consulting Partner and Solutions Provider offering enhanced service delivery and technical capabilities from design and build to migration, management and optimization. We recognize keeping up with AWS and cloud services technology is a never ending battle, nonetheless a battle we love fighting. i2m helps organizations seeking to utilize AWS cloud services and are looking for a guided cloud transformation. We understand the struggles and nuances that may arise while developing cloud strategy, let us help with a smooth educated transition to AWS. With the increasing demands of new cloud native, modernized business services and solutions, your engineering team can focus on the technology that accelerates and differentiates your business, and let us handle the day to day of managing your AWS cloud environment. We offer cloud solutions for a wide array of use cases for the Public and Commercial sector. i2m offers several SaaS solutions that uniquely and sometimes exclusively have their technologies intertwined and powered by AWS. These cloud technologies represent the leaders in their market and segment and have a very strong hold on the cloud solution industry as a whole. These DRaaS, BaaS, SaaS and PaaS services compliment your AWS eco-system and enhance your cloud journey. Your AWS cloud environment is configured in private and secure cloud services accounts dedicated to your organizations, managed by us, or in some cases, in-house by your team and we are just your backup or providing value add-on services. Your cloud environment can be connected to your corporate sites via encrypted access methods over the internet or use direct connections. Resources and services in your AWS environment are available from your corporate sites or from any remote location. Making your corporate applications, files and data securely accessible from anywhere, anytime. This enables your staff to be more agile and focus on your organization’s core mission. AWS is the most recognized Public, Private, Community and Hybrid Cloud Service Provider according to Gartner, 451 Research, Enterprise Strategy Group, Kuppingercole, Monzo, Nucleus, IDC, OVUM, we can go on…. This is why AWS is the fastest growing cloud service provider to date, ahead of the competition IBM, Microsoft Azure and Google Cloud Platform by magnitudes, year over year and for many years to come. We believe the rate and pace of innovation along with the breadth of services that AWS has to offer is incomparable for the foreseeable future. We love AWS because it gives us the most advanced technical capability and control to service the largest of enterprises, supplying us with solutions that have helped us advance our client experience, performance and security posture. Our team benefits from this exceptional level of efficiency and control that allows us to continuously innovate and meet the evolving needs of our clients. Can your cloud service provider match up? Migrate mission-critical applications or entire data centers to the cloud. Virtual Server Hosting, Container Management, and Serverless Computing. Virtual private cloud, direct connections, load balancing, and DNS. A reliable, scalable, and secure place for your data. Purpose-built databases for all your application needs. Encryption, Access Management, and Securing Regulated Workloads. Host code and automatically build, test, and deploy your applications to AWS. Fast, highly secure and programmable content delivery network (CDN). Putting machine learning in the hands of every developer. IoT services for industrial, consumer, and commercial solutions. Everything you need to create and connect amazing games. We design both Hybrid and Cloud based Infrastructure solutions. A Hybrid deployment ties local existing/legacy infrastructure and client machines to your cloud environment on AWS while enhancing availability, scaleability and agility. Choosing between your existing investment in infrastructure and moving to the cloud is not a binary decision. Deep features, dedicated connectivity, identity federation, security and integrated tools allow you to run ‘hybrid’ applications across on-premises and in the AWS cloud eco-system. Extend your data-center and business processes to the cloud by leveraging AWS’s modernized suite of cloud services. Building a fully modernized cloud native application can be overwhelming. From choosing the right AWS services and utilizing them efficiently and cost effectively to ensuring best practice methodologies are followed using the AWS’s Well Architected Framework. i2m can guide your organization to cloud services delivery excellence. i2m has implemented cloud-native solutions many times over, across a diverse range of clients with great success while providing a complete cloud strategy. From modernizing your business applications to managing and supporting them i2m can manage your apps or recommend a partner that can. On AWS you can architect your nex-gen apps using services like Lambda for serverless computing, Amazon Elastic Container Service ECS to build and developed micro-services for your web-apps and ditch the old monolithic architecture or tip toe in and migrate your on-premise apps based on your existing architecture, while adding high-availability and scaleabality. Use services like AWS’s Simple Migration Services to expedite to simplify your cloud migration. Use EC2 with Auto Scaling Groups behind Elastic Load Balancers, so your apps can scale to your audience and not your wallet. i2m specializes in building next-gen Cloud Desktops and Cloud Apps using (Microsoft Server 2019/2016/2012/R2). Connect to your cloud environment through Microsoft Remote Desktop or with PCoIP for better performance, use any device; desktops, laptops, tablets, smartphones or low foot print thin and zero clients. 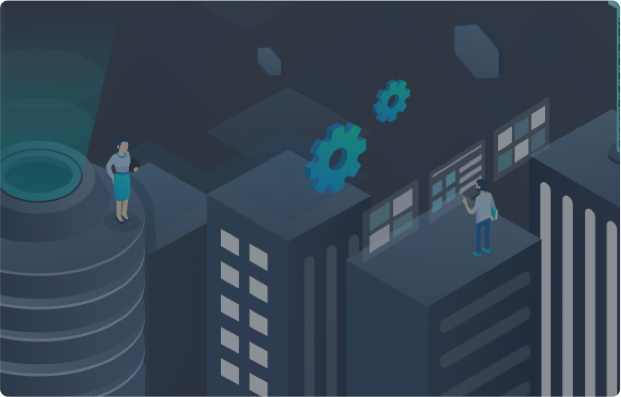 Creating a cloud native environment your users are familiar with, reducing the learning curve for your staff to operate in the cloud. Find out how i2m can help your organization design, implement, manage and optimize your business technology.